I have a Garmin 205W and stumbled on your webpage for ExpertGPS. It looks like an interesting package, and one that may make good finacial sense to me. I am currently taking my private pilot exams, and rather than pay $1000 or more for an aviators GPS I’ve bought the 205W. What I would like to do is take aviation maps (these are available to Google Earth) and map certain 2-Dimensional shapes (polygons, circles and points) as a layer to my 205W. These would represent airspace restrictions and navigations aids (beyond the list of VOR and airport POI’s that are already available). Could I ask whether your tool would make this easier for me, and if so what is the workflow involved? Your screenshots all suggest aerial maps, but I want to use charts. ExpertGPS can import KML files and GIS shapefiles containing restricted airspaces and other aviation data, and display it over scanned charts or digital charts in JPEG, PNG, or TIFF format. There are plenty of pilots who use ExpertGPS as a pre-flight planning tool, and as a post-flight analysis tool. Ultralight and experimental aircraft pilots, in particular, rely on ExpertGPS to view their exact flight path over the ground, analyzing how efficient they are in their turns, and checking their rates of descent. So there are lots of aviation uses that ExpertGPS can help with. I’d hesitate to recommend you use a Garmin Nuvi 205W as a flight instrument or replacement for an aviation GPS, however. For starters, the Nuvi 205W and other Nuvi 2xx series GPS receivers can only display waypoints – they can’t record or display a GPS tracklog. More importantly, the Nuvi is designed for automotive use, not aviation. It has no way of audibly alerting you when you stray into restricted airspace. 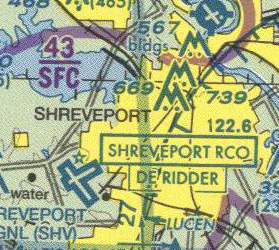 It doesn’t display hazards and navaids like a dedicated aviation GPS does. You can find more information about displaying aviation charts in ExpertGPS in the ExpertGPS Help file.